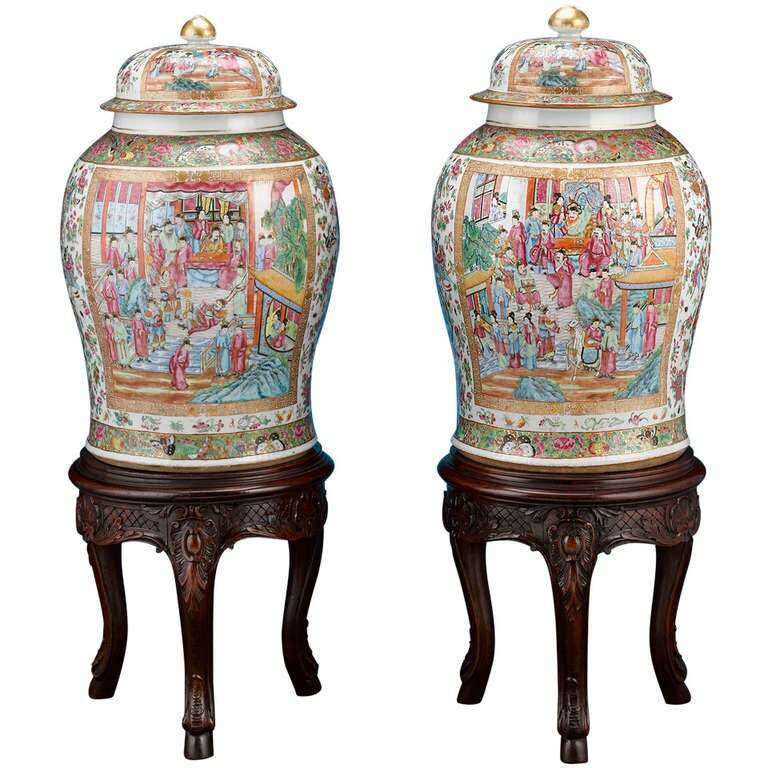 This enchanting pair of Chinese export rose medallion covered jars exhibits magnificent artistry and detail. 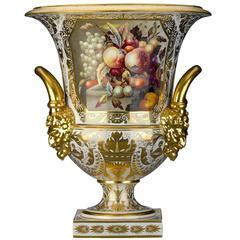 Also known as potiches, these monumental jars are adorned with highly detailed hand-painted scenes of courtly life, populated with courtesans and ministers, surrounded by an abundance of flowers, birds, butterflies and fruit against gilded backgrounds. 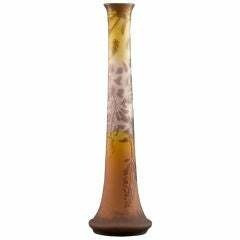 This stunning decoration is also awash in color, including the beautiful Famille rose over glaze. 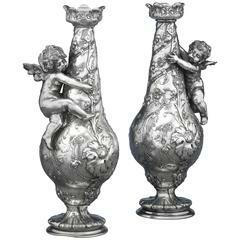 Set upon carved Rococo Revival bases, these intriguing vases are incredible examples of Chinese artistry. circa 1870. 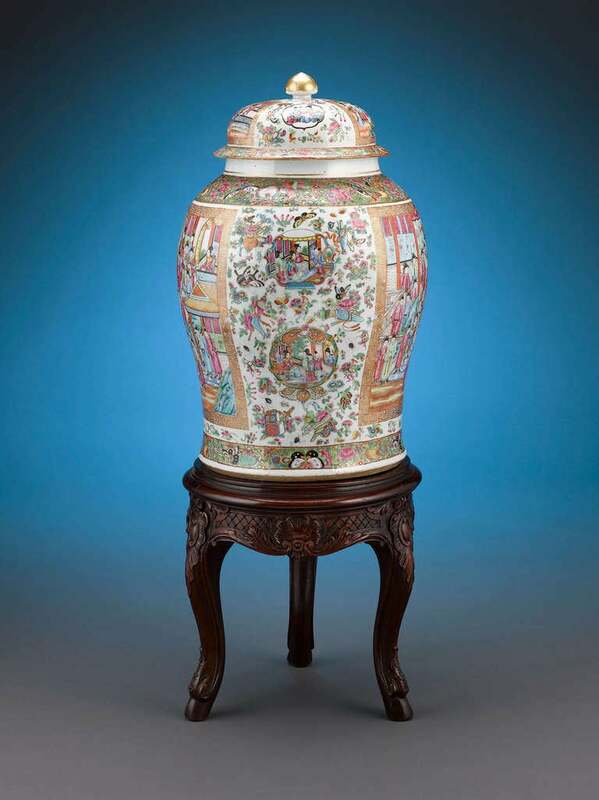 Vases: 24 1/2" high Bases: 15" high Diameter: 16" at largest diameter and 8 3/4" at opening diameter Chinese rose medallion pieces were exported to the United States in great numbers beginning in the Qing dynasty (1644-1911). 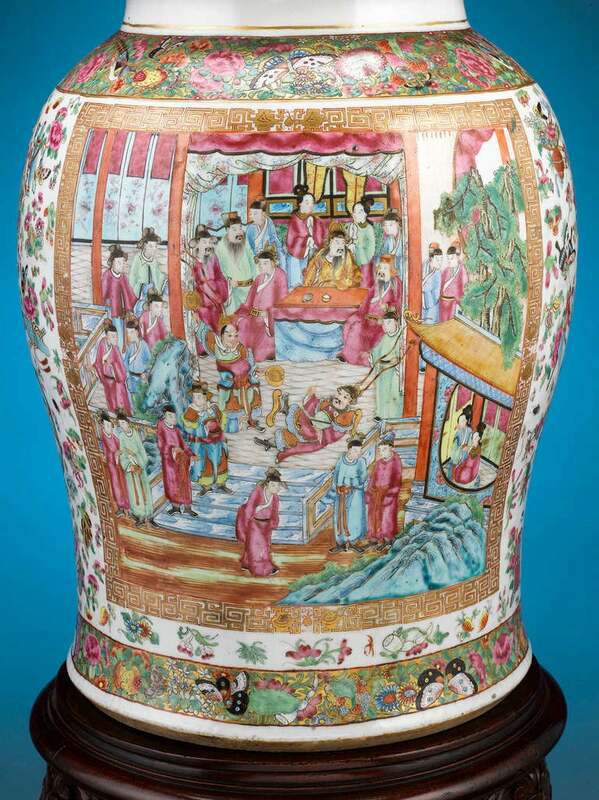 Depicting figures in mandarin clothes or with other motifs painted inside a frame or medallion, this style was first made around 1850 to satisfy the high demand for imported china that started in Europe and eventually spread to the United States. 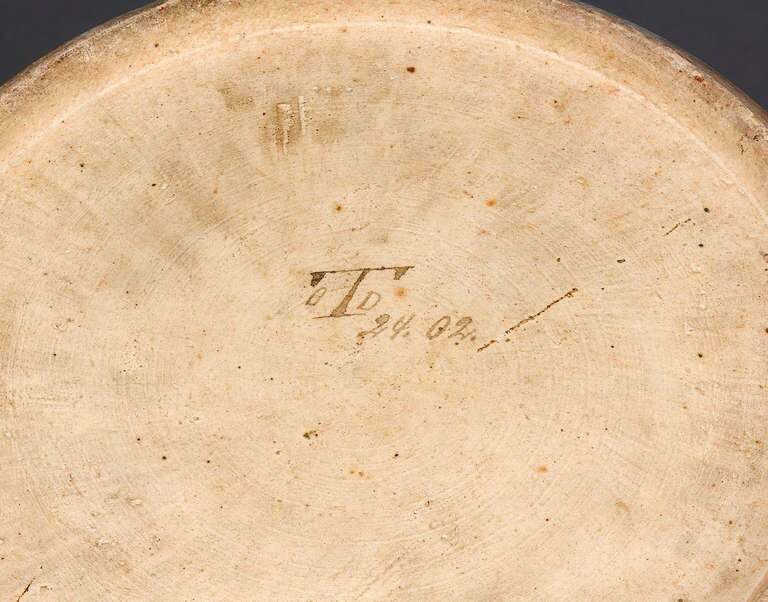 It was extremely popular from 1830-1930, and it was through this exportation that the West learned to know and appreciate Chinese porcelain. 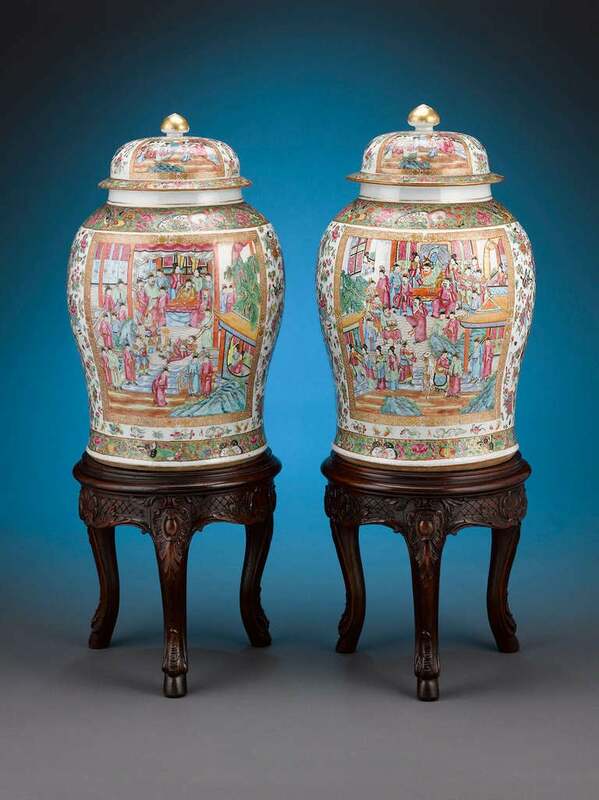 A good quality pair of 19th century Chinese canton / rose medallion vases. 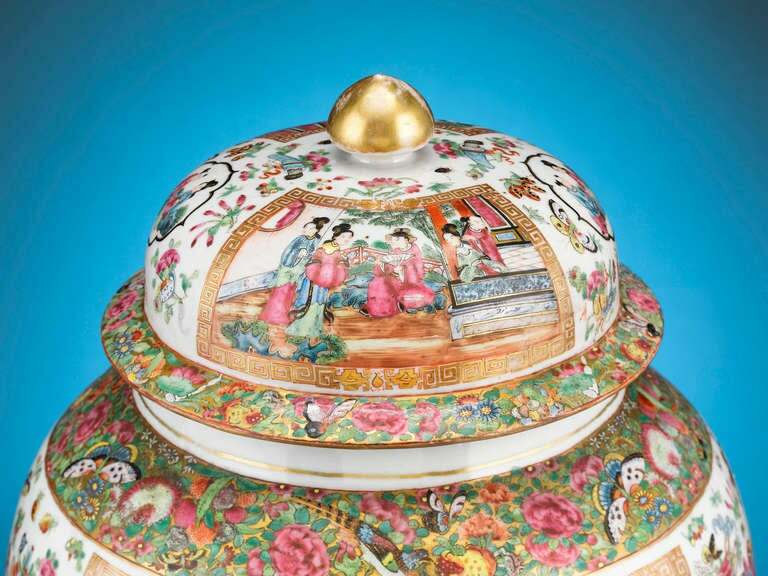 Each with beautifully painted and colored images of various courtiers, motifs and warriors. 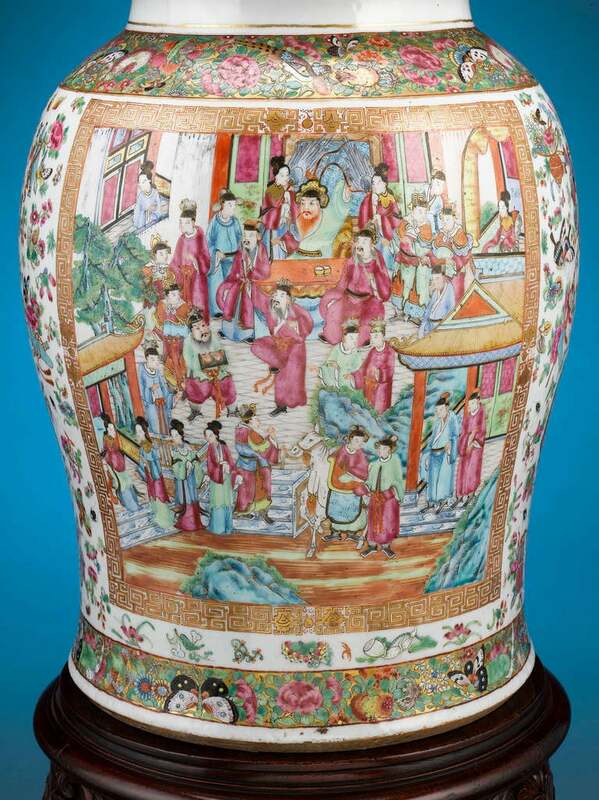 Contemporary Chinese classic shape rose colored porcelain vase. Two available. Sold individually.